The use of Extra aggressive concrete class (about 70 MPa) and polystyrene EPS 80 ensures a very long service life. Outside thereof is covered with no openings and the construction is unique, both in the design and by the addition of a special fiber blend. 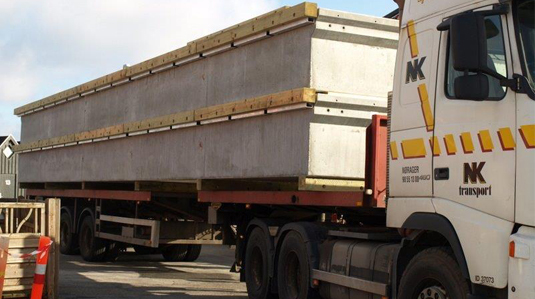 Concrete Pontoons and transport – half the price! 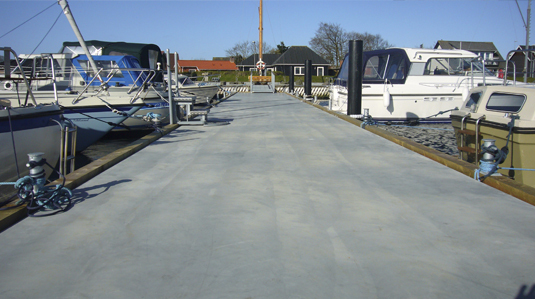 Modern mass production and unique design solutions ensure optimal production and the cheapest concrete pontoons on the market. The pontoons are transport optimized and 2 pcs. 15 m bridges can be transported on one load and without the use of a follower. The combination of the wide width, the weight distribution of the structure and a patent-pending connecting system SOLID GROUND makes it feel like walking on a firm ground. The powerful 150 mm × 150 mm fender beams with service channels each side supports a solid and well thought out solution. There has been developed an anchoring system with heavy duty poles brackets with a force of 50 kN, strong corrosion-proof iron poles with plastic pipe, which also serves as ice-fuse. The pole bracket is, as the first on the market, made with nylon super rollers. 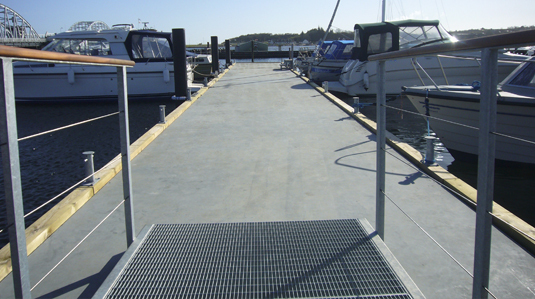 Our gangway is designed with a non-slip and clean open deck with steel grating. The powerful bearing side members are suspended from a flexible pierfitting. 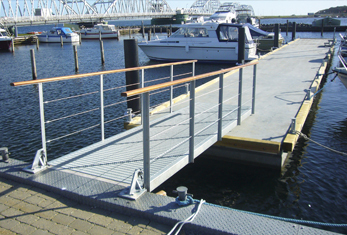 The gangway can be purchased with or without railing. 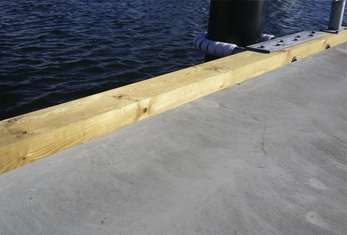 Traditional mooring poles lock the width of the boat berth and lifetime can also be short if hit by pile worms. 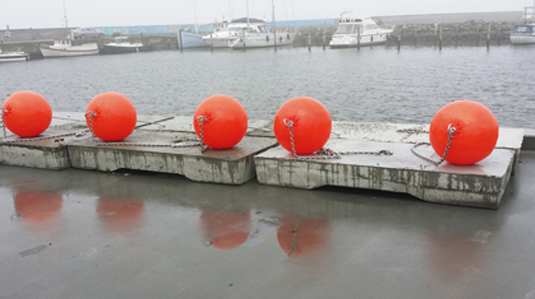 With a mooring buoy attached to a 2 ton concrete anchor via steel chain, you have a durable and flexible mooring system. Safety first. 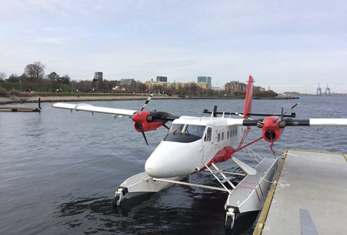 Among other things, include the large width cable-free pontoons, fender beam forming “curb”, our elegant rescue ladders, flexible placement of light pedestals and secure/solid gangway. 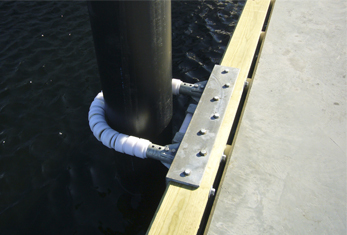 The modular pontoons provide a very wide application and possible recycling. 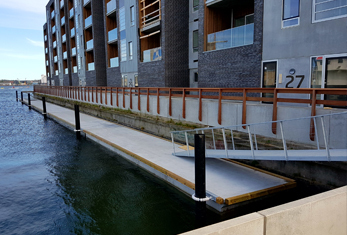 These include dinghy and kayak pontoons, business use, terraces, walks and of course the wide and exclusive marina pontoon. See the list of projects sold here.